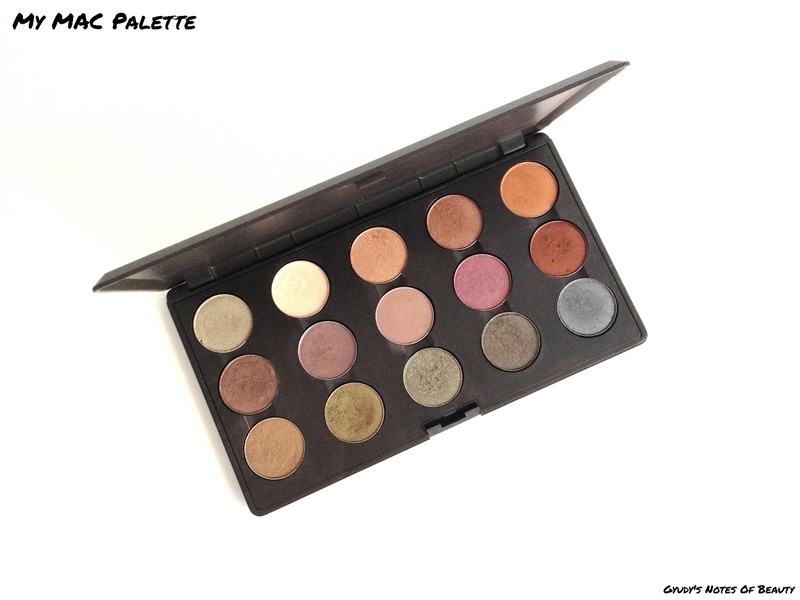 I've been meaning to share the eye shadows in my 15 pan MAC palette for a while, and today I'm finally here to tell you more about them! 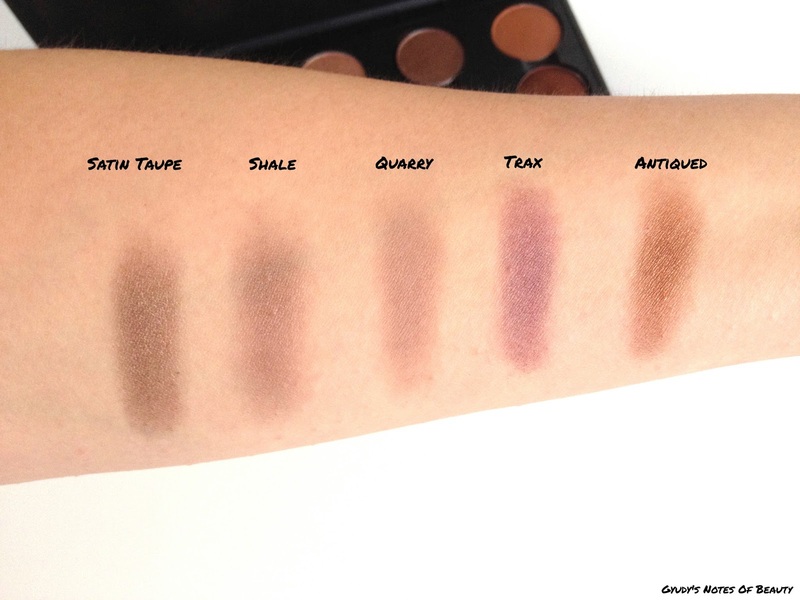 First, a bit of introduction: while I'm happy with how my palette turned out, there are some shades I'd never repurchase and that I wouldn't recommend. That's the biggest problem I have with MAC. 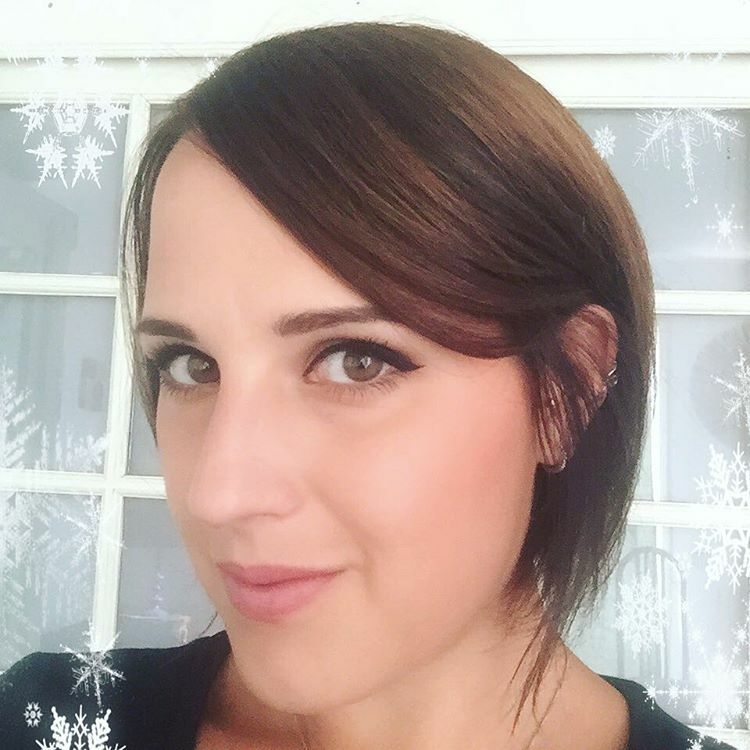 You can't be sure that an eye shadow is going to be good, apart from the famous ones (and still, some leave me not so happy), while other brands like Urban Decay or Too Faced are a lot more consistent across their range. 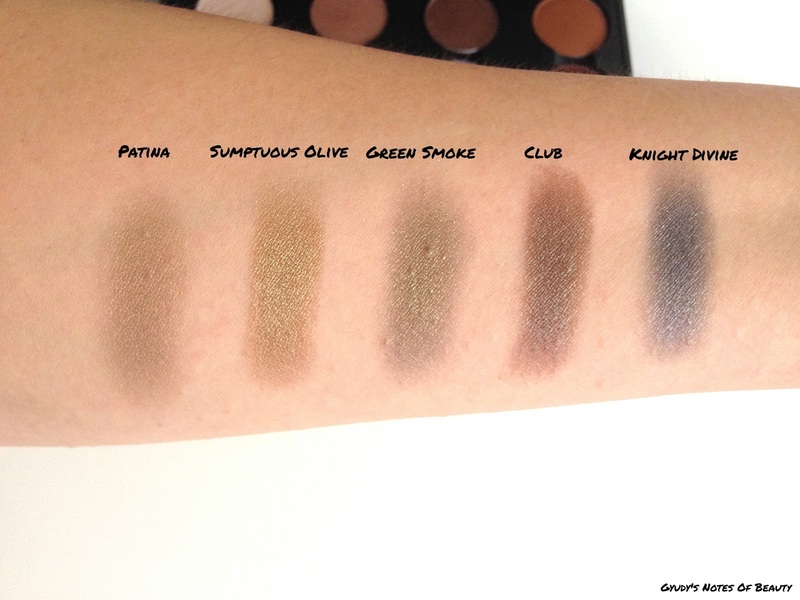 Having said that, here's the swatches and the shades that I would or wouldn't recommend! Recommended: Vex, All That Glitters, Sable, Texture. Recommended: Satin Taupe, Trax, Antiqued. Are you a big MAC eyeshadow lover or, like me, you've been a little disappointed by some of them? Luckily I have a couple of quads with shades I adore that I still have to share with you! To be honest I am a true Mac fan. I love my eyeshadows and have over 30 of them in total. I guess Im a bit of a Mac addict. Wow love the warm toned colors.Can't wait to see your other palettes. Beautiful shades, wish I had the money to invest in a few more! It is funny, i made a game out of it to guess which ones you liked and disliked and i was right about 90% of the time ;). Lovely palette though. Wow ur mac palette some great color shades Gyudy. Great palette! I love the colors you picked! Hey Gyudy, this is an amazing palette! I don't have that many MAC shades, but I do own several here (All That Glitters, Sumptuous Olive, Shale, Satin Taupe, and Trax). To be honest my experience with Trax is less than stellar! I wonder if I just got a bad batch, because mine is very hard and it's hard to get it to show up! I own a quad and (luckily) love all the shades I picked. Trax and All that glitters look really nice and autumnal. I am surprised about Patina, I have never actually tried but read so many positive reviews about it. You have a lovely MAC palette! Gorgeous palette! 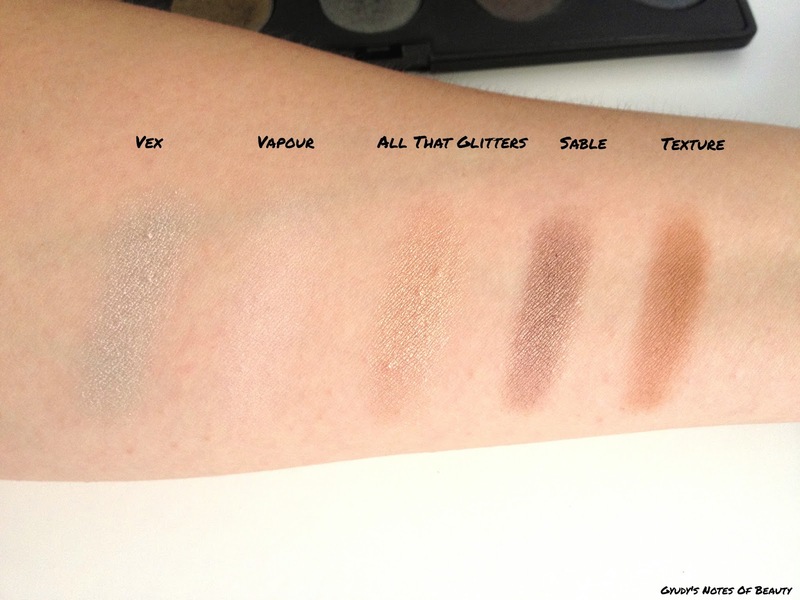 <3 Especially that last set of swatches is beautiful. I'm a HUGE MAC eyeshadow lover. MAC shadows are what really started my obsession with makeup. We have a lot of the same ones it seems. I actually like Patina, but mostly I wear it with a coloured base, I find it really works well that way. Wonderful collection! Sable and Texture are part of my everyday makeup. I would be lost without them. Great post. Hello again! I've already commented earlier on how amazing your blog post is and how much I adore Sable and Texture. But I wanted to stop by this time and tell you that I loved your blog post so much that I have featured it on my Weekend Reads. I hope you take the time to stop by and check it out. Have a wonderful weekend!